A tour of the project on Friday, Sept. 3, was led by Bob Machen, GCU’s campus development project manager. The walk-through revealed what has been suspected all along: GCU will have a second-to-none practice facility for its basketball and wrestling teams, along with a fitness center to serve its student and staff population as never before. Windows on the building’s north and west sides allow views of the rest of the athletic complex, with impressive overlooks of the softball and soccer fields. 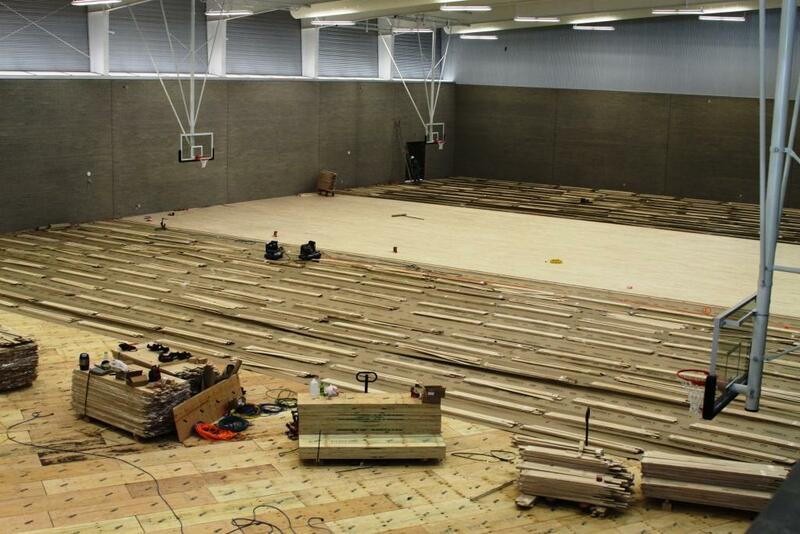 The hardwood flooring for three full basketball courts is now being installed and is expected to be completed in a week to 10 days. The six baskets already are in place. The men’s and women’s teams will have exclusive use of the westernmost court; students and staff will be able to use the other two. Wood-paneled lockers for the men’s and women’s basketball teams have been installed, and lounges for the teams will include room for a big-screen TV, sofas and computer stations. Also on the building’s first floor are spacious weightlifting and athletic-training rooms. 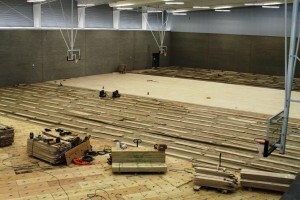 On the second level’s east end, a large fitness area for students and staff overlooks the basketball courts. Natural light streams through windows into a huge wrestling room, and there are locker rooms to be used by the Antelope coaching staff. 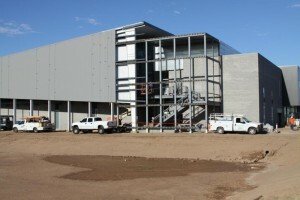 A crew of as many as 170 workers has been involved in UEB’s construction of the facility, whose modular design was the work of Architekton of Tempe. Along the Promenade, the new College of Education classroom building is going up fast. 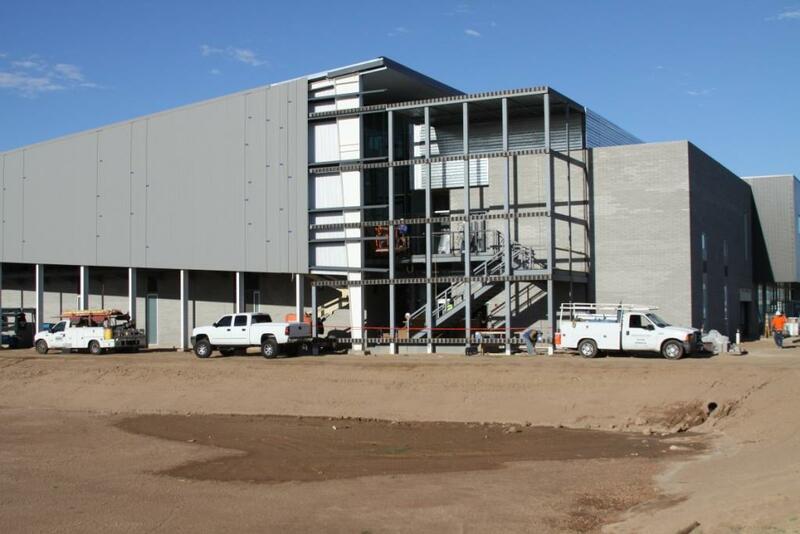 Concrete has been poured for the second floor, and dry-walling of the first floor will begin next week. “You can’t blink an eye on this project,” Machen says of the building, praising Pono Construction for its speed and attention to detail. In the next week, Machen will meet with a company from Atlanta that is designing high-definition video boards for the new Event Center (opening in the fall of 2011) and the east side of the Education classroom building. Wow! Canyon has come along way from just having the two gymnasiums and a dingy weight room attached to the old gym. Way to go! Keep making us alumni proud.